For over 25 years, N&P have been designing, supplying and installing UPVC double glazing throughout Wirral and Merseyside. 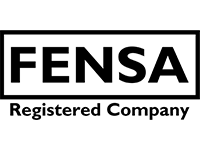 Our official certified registry with FENSA means that we abide by all current building regulations enforced to ensure that all customers are given the best thermal standards for their money. 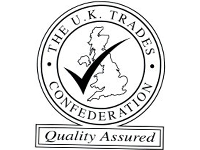 Replacement Windows, Doors, Bifold Doors, Conservatories and Orangeries across Wirral and Merseyside. We pride ourselves on our excellent service and as a result are one of the leading suppliers of double glazed windows, doors and conservatories on the Wirral. We offer Free No Obligation quotes and advice to anyone looking to enhance their property and increase its market value. Double Glazing windows have a number of advantages over standard single glazed ones. It is estimated that the average homeowner can save around £170 every year on their energy bill because they allow less energy to escape. The excellent heat retention – not only with the windows but the casing around them – ensures a reduction in draughts during the winter months. As the best windows with double glazing can also last for up to 25 years, homes with these windows can be saving up to £4000 from their bills. It is not just heat that double glazing windows can help to prevent; they are also about to reduce the amount of noise that is entering your home if you live on a busy street or near the main road. Similarly, homes in busy areas may see the benefits of the security double glazing guarantees. Modern security systems can easily be incorporated into these windows as well as patios or doors to help protect the home. Here at N&P Windows, we have been providing the people of the Wirral and Merseyside, with high quality double glazed windows for many years now. In these years we have built up a fantastic reputation in the area for delivering only the highest quality service. As a result, we get many of our jobs from customer referrals, off the back of our great workmanship. We cover the following areas, Cheshire, South Wirral, Burton, Neston, Little Sutton, Parkgate, Ellesmere Port, Hooton, Caldy and Hoylake. 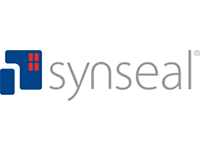 If you would like a FREE NO OBLIGATION QUOTE with no salesman pressure or would like some advice on having new double glazed windows, doors or conservatories please give us a call on 0151 639 3999 or visit Synseal for more technical information about our products. Thank you so much for the brilliant job you have done for me on my conservatory. It has made such a wonderful edition to our family house, thanks again. Made up with the work completed, I love the new door! ”N and P are 2nd to none!” The lead work is excellent, the sales team and fitters were most knowledgeable. We are so happy with the job, and we would highly recommend them to our family and friends. Vinny and Jack are excellent workers and they did a brilliant job, their standard of work was extremely high and they worked so efficiently. I would definitely recommend N & P windows. Wonderfull job with my Bifold Doors. Pleased with quality of work and service received, would highly recommend. Thank you all. Good clean job. I had my doors fitted last week, and I would like to feed back what a fantastic job the fitters have done. We are really pleased with N&P Windows, and will highly recommend them in the future. We could not be happier with the work. I was delighted with the work and hadn't realised how bad the draft was until I had my new doors fitted, I can't stop looking at them they look so good and now there is no draft too. I will be using N&P again when I get my windows done. Excellent standard of work from N&P Windows.